This piece is a model for a public artwork to be situated near the Chicago lakefront. The text around the ring reads, "Life creates Order does not create...", which translates to "Life creates order. Order does not create life." 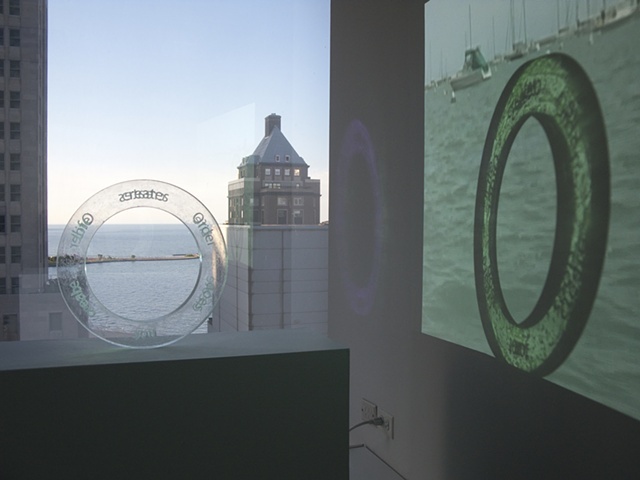 It was originally shown in a satellite space of the Richard Gray Gallery in the John Hancock Building with a video projection and field recording of the Chicago lakefront.